The times of the Old West have passed, and with it, their true spirit has gone away. However, some of their wildest and unique games, which were played all over the country, have also gone as well. So whenever Madame Moustache or Soapy Smith turned their hand to gambling, they generally preferred Farro to Poker. Like the great Gold Rush itself, the Faro card game was popular among those eager to go from rags to riches. Known as Farobank, Pharao or Pharaoh, it gained its title because of the pictures of Pharaohs on the playing cards. 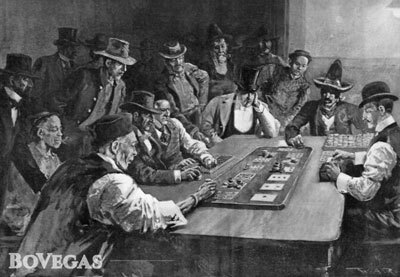 The game was originally brought to the United States from France in the first half of the 18th century and in a short time, it became dominant among the table games of the Old West. The same situation was in Europe: for example, one of Leo Tolstoy’s characters in War and Peace loses his fortune playing Faro. In America, gamblers adored it. A fast and lucky player could become rich in one evening by “bucking the tiger.” Tigers were associated with the game, because the house would only have a razor-thin edge. Memories about the forgotten Queen of gambling games still perdure at the Clark Country Museum; but if you are searching for the faro table, you will not find it in any of the existing casinos. We decided to give you a glimpse of the history and rules of this epic game. The game originated presumably in France in 1713. Historians tend to think that it developed from the well-known British pub game, basset. In turn, basset descended from lansquenet, which was played among the soldiers of the Teutonic Order in the 14th century. In 1691, fired up with the conflict with Tampliers, King Louis XIV banned basset. Then Faro was introduced to the New World. Thirty years later, sources state that the game was most probably introduced by the French community of New Orleans. Some experts insist that it was a Scottish expatriate John Law who pushed the game among the mob. At the beginning of the 19th century, Faro bank spread all over the Mississippi, capturing saloon after saloon. The weird name of the game is a corruption of the Egyptian Pharaoh pictured on what is known as King of Hearts nowadays. Apparently, French card decks of the 17th century had just such a feature which was then transferred to England, where they were imported. The same story happened with the phrase “Bucking the Tiger.” There is an old theory that this relates to drawings of the Bengal tiger, which were found on the backs of cards. Rumors have it that the same tiger was painted on traveling Faro cases during the Civil War. However, no evidence confirming this has ever been found. A very interesting suggestion was offered by those, who prove that streets, alleys, and lanes where gambling parlors were situated were often called “tiger lanes” or “tiger alleys.” The same name was frequently used for the streets with saloons where tiger paintings were hanging at the doors. No matter what the name of the game would seem to imply, there wasn’t a significant house edge, and the player’s odds were almost as good as the Dealer’s. So it’s no wonder that cheating became a common thing in Faro. In order to gain an advantage, banks or houses used various techniques and equipment; as well as standard tricks like sleight of hand, trick decks, etc. Dealers were facing a tough racket. In order to hold profits on the house, they had to cheat anyway! These risky steps led to bursts of anger among settled communities, where anti-gambling sentiments were already on the rise. As time was passing by, some rather more profitable games squeezed out Faro: this included both games for houses and games for players like craps and roulette. In several states, this game became a real outlaw. For example, in the state of Arizona, it was forbidden in 1907. And before World War II, the game was legal only in the State of Nevada. Because of its low-profit margin, Faro ceased its existence in Ramada in Reno, 1985. Slot machines, roulette and other gambling games compelled casinos to get rid of Faro and put it into oblivion. 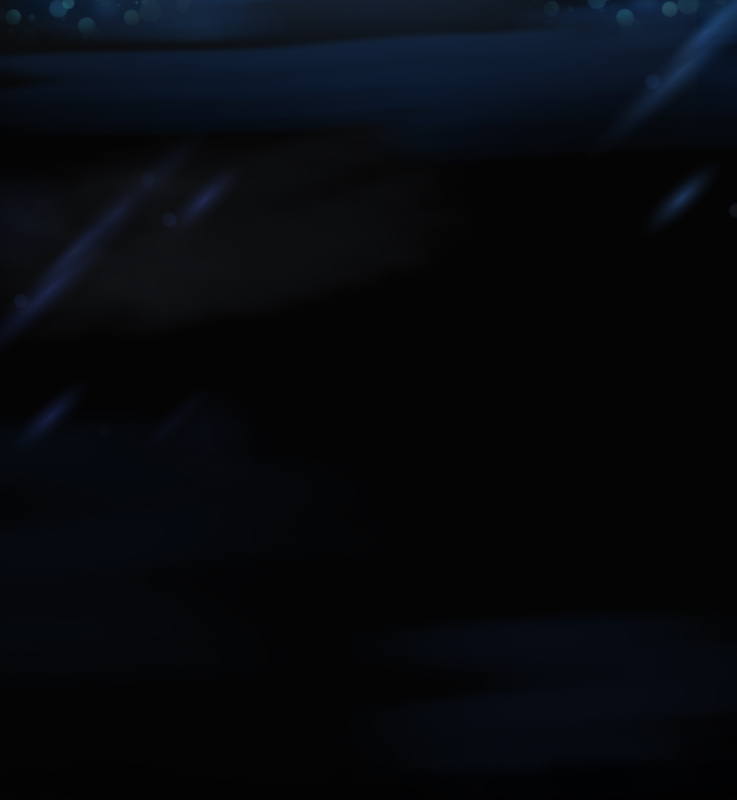 The game consists of 13 cards of the spade suit, representing ranks of all suits. The table for Faro would be of a round shape, covered with green baize, with a cut out for the dealer. The dealer is one person. The player’s bet is placed on the table and values are imposed by the house (in the old days the average amount would be between 50 cents and 10 dollars). Faro cards are placed in numerical order as betting layout. After that, the players can place bets on several cards at a time, or else one out of the 13 cards. An additional variation includes betting on a high card which is on the top of the layout board. It is up to players to choose the type of betting they do. First of all, the deck is shuffled and placed face up in the dealing box (“a shoe.”) The top card (“Soda”) is not used; rather, it is removed (“burned off.”) Secondly, the dealer needs to draw two cards. The first one is the banker’s card called “losing card” – this is placed to the right of the dealing box. Logically, the second card is the player’s one, and it is placed to the left. The suit is not relevant in the game, so as a result any card on the board that has the same denomination as the banker’s one loses, and the banker wins bets based on those cards. The card on the left is the winning card. Any card of the same denomination as the player’s one that bets on it will be returned with a one to one payout from the banker. If you bet on the high card, you will win, if the player’s card denomination is higher from the banker’s. Players are being paid after every two cards are drawn. Bets that did not either win or lose remain there on the table, unless the players want to change to another card or collect them. 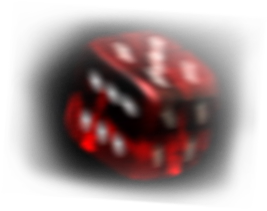 In classical Faro, a six-sided token called a “copper” was traditionally be used by the players to change the intent of the bet. The dealer is going to draw the cards until only three cards are left in the deck. When this happens the banker may refer to “call the return.” In this bet, the players should predict the order of how the remaining cards will be drawn out. In the end, you will have the banker’s card, the player’s card, as well as the last card, which is called a Hock. The payout is 4 to 1 in case the player wins. The interesting thing that if there are cards of the same rank in the end, then the payout will be 1 to 1. This situation is called cat-hop. In the past, there was too much dishonesty in the game. Both the dealer and the players tried to cheat, in order to increase their own profits. Dealers usually used stacked decks to win at least some of the bets by putting pairs together in the deck. Rigged decks were also a common phenomenon when dealers made different textures for the cards, so they could know how to place the pairs, while still making it look like pure shuffling. Some of the most ruthless bankers rigged even dealing boxes, putting little mirrors there, which were visible only to them. This allowed getting rid of heavy cards and keep the edge on the house. Sleight of hand was used to change the cards, choosing the winning denomination, while drunken and loud players were distracted. Players had a hard time with cheating, but still, they could come up with some creative solutions that called for high-level skills. For example, if the banker got distracted players could simply move their bets or change the card. Moving with a thread was yet another technique: a player could use horsehair or silk thread for it. Moving the bottom of the pile of the bet, a skilful player could easily shift it to other winning cards. The same things could be done with copper. To avoid cheating, Joseph Graves designed the dealing box in 1825, but the results of it were poor. Dealers found their way to trick the system.  Some of the most decent gambling houses used case keepers to follow the game and the shuffle process. Even though it was an extra measure, it still made people feel more confident during the game. But the most outrageous thing that has ever happened to Faro is its total oblivion today. It is hard to find any movie about Old West where the main characters were playing it. 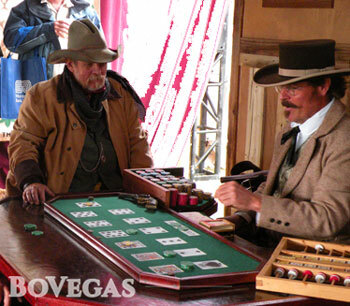 It seems like the cowboys, gunslingers and outlaws only played Poker, which is definitely not true. 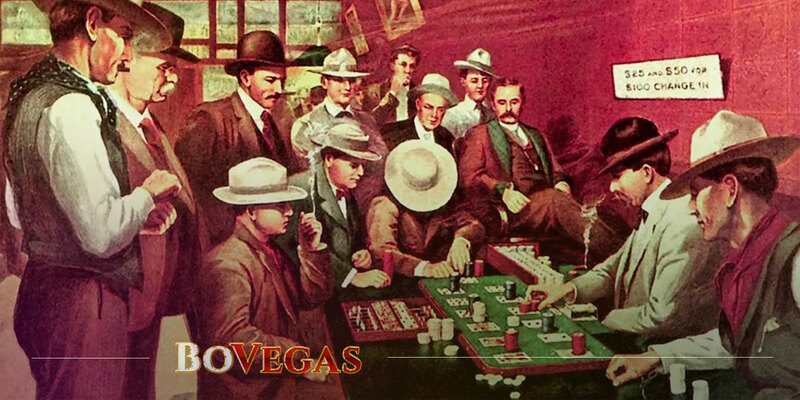 The movie industry has been disregarding this game for a long time; and so, due to the fact that the audience viewed Poker more highly than other gambling games, all the scenes in Old West would show people playing it. However, The Shootist movie (1976) did make an attempt to resurrect Faro. The way the game was played on the screen was totally wrong, and the characters who played it made aggressive comments to each other. This led to a total misunderstanding of the game itself and indeed its real essence. But even now, there are some fresh hopes to revive the game. Many historians have tried to restore Faro on the pages of their books and the home pages of their websites. You can go for Faro: the Frontier Favorite or Former Dealer hopes for the return of Faro books to explore more about this exciting game. How Do Online Progressive Slots Work? Where Did the Word Pokie Come From?